As a final exam preparation tool, the CCNP TSHOOT 642-832 Quick Reference provides a concise review of all objectives on the new CCNP TSHOOT exam (642-832). This eBook provides you with detailed, graphical-based information, highlighting only the key topics in cram-style format. With this document as your guide, you will review topics on maintaining networks, troubleshooting methodologies and tools, and troubleshooting practices for switches, routing, and security. This fact-filled Quick Reference allows you to get all-important information at a glance, helping you to focus your study on areas of weakness and to enhance memory retention of essential exam concepts. 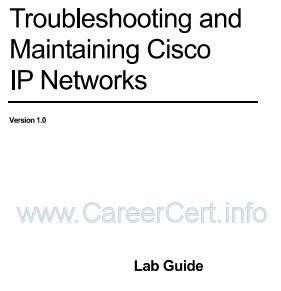 The Network Troubleshooting Video Mentor contains 20 individual videos (with a total of about six hours of instruction) that demonstrate how to accomplish some of the most common troubleshooting tasks on Cisco routers and switches, and shows you how to verify that the network is working correctly. 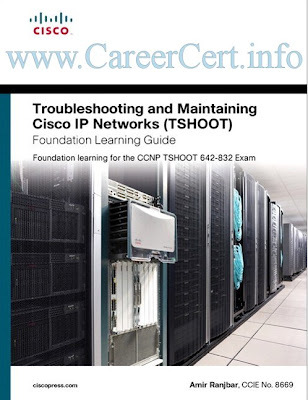 The CCNP TSHOOT Quick Reference provides you with detailed graphical-based information, highlighting only the key topics on the CCNP TSHOOT exam in cram-style format. This fact-filled Quick Reference allows you to get all-important information at a glance, helping focus on areas of weakness and enhance memory retention of important concepts. Does the CBT Tshoot lab includes the .ova file? First of all, Thanks for uploading and sharing links of very imp. videos and books for us. 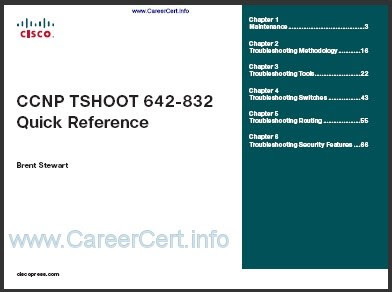 At present i am not able to download “TSHOOT 642-832 Cert Kit -DVD’s part-2 to part-6”. Hey Careercert, most of links are broken on rapidgator and permission denied on rapidshare.. could you please check… Thanks..
I’m curious how now looks exam? 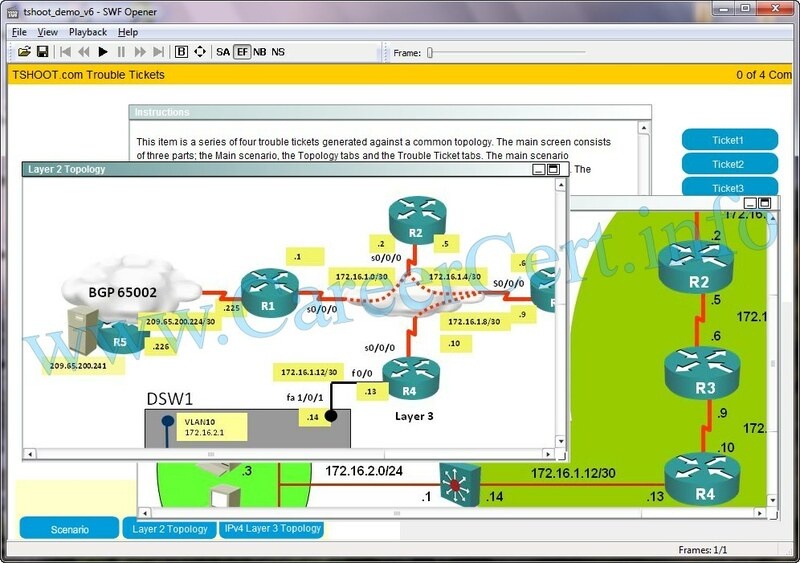 I watched “TSHOOT Exam Strategy Part-I” prepared by Kevin Wallace and there is info that on official cisco website we can find official demo with diagram which will be used on exam, but I checked on cisco webiste (and I was logged) and I couldn’t find any official demos. 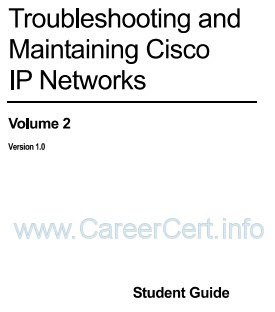 So my question is if there is still the same diagram on exam and cisco doesn’t publish it any more or something change on exam? 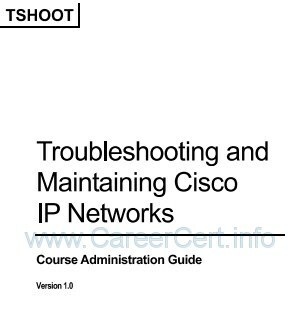 I couldn’t download CCNP TSHOOT part08 as it is showing file not found. I am using Rapidgator download files – Please upload!!! I can’t download CCNP TSHOOT part08 – Please upload!! !